In order to preserve highway safety, the Commonwealth of Virginia operates strict laws and penalties for reckless driving. Virginia uses a broad standard that encompasses most types of dangerous or careless driving conduct. Furthermore, severe penalties exist to discourage and deter reckless driving in Virginia. While each reckless driving case is unique, Virginia employs a number of common penalties. The following sections will provide an overview of six potential consequences of a reckless driving conviction in Virginia. A conviction for reckless driving in Virginia generally results in license suspension. The driver must complete the entire suspension period before reapplying for driving privileges. For even the most minor reckless driving offenses, there is a mandatory six-month suspension of driving privileges. Monetary fines are a common punishment for reckless driving convictions in Virginia. The standard fine for reckless driving is $2,500. Additionally, there is a mandatory minimum fine of $250 for using a cell phone while driving recklessly. In either case, a reckless driving charge can have a serious impact on the offender’s wallet. In certain cases, a Virginia reckless driving conviction can result in a jail sentence. On the lower end of the spectrum, misdemeanor reckless driving offenses can lead to a 12-month sentence in county jail. On the higher end of the spectrum, felony reckless driving offenses can lead to a five-year sentence in prison. A reckless driving offense appears in two different records in Virginia. First, the offender will receive demerit points on their driver’s license. If the offender accrues too many demerit points, then they will face license suspension. Second, the reckless driving charge appears on the offender’s criminal record. Such a criminal record can have a negative impact on certain aspects of life, including employment. A conviction for reckless driving or another qualifying traffic offense may result in an increased automotive insurance premium. That being said, each insurance company operates their own quoting system. Consequently, it is advisable for reckless driving offenders to contact their insurance company directly for an accurate quote. During employment verification or a background check, an employer can see driving and criminal history. 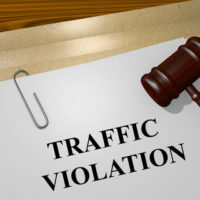 For a job that involves driving responsibilities — such as a taxi or truck driver — the employer may decide against hiring an applicant with a reckless driving charge. Other employers may be hesitant to hire applicants with a criminal record. The bottom line is that a reckless driving charge can have a negative impact on future employment possibilities. If you have legal questions about reckless driving in Virginia, it is immensely helpful to reach out to a trustworthy criminal defense attorney. The attorneys at Simms Showers LLP, servicing Leesburg, Winchester, Fairfax, and Manassas, know how to fight criminal charges for reckless driving in Virginia. If you need legal help with criminal defense, contact us today for a free initial consultation.